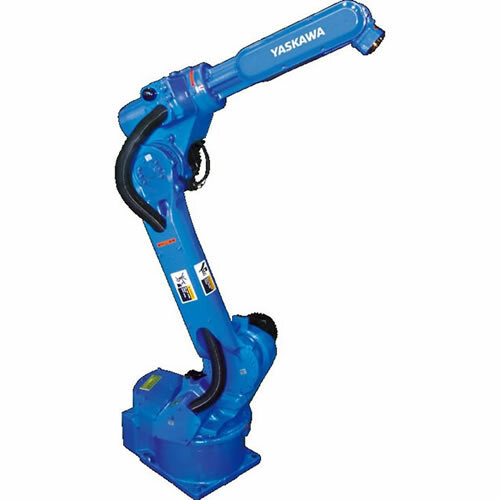 Yaskawa Motoman offers manufacturers a wide range of robotic solutions for cutting and material removal applications. 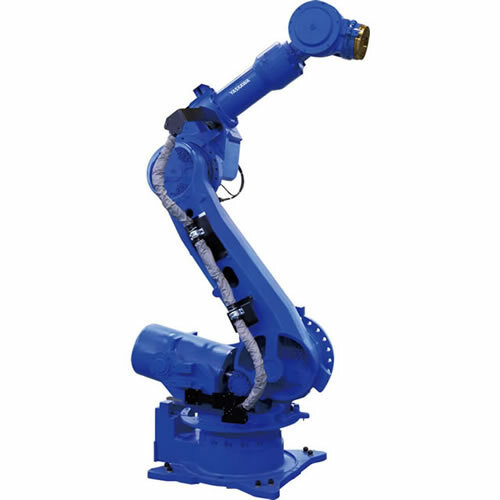 Our robots have been used extensively in laser, plasma, waterjet and oxy-fuel cutting applications, as well as grinding, polishing and finishing. 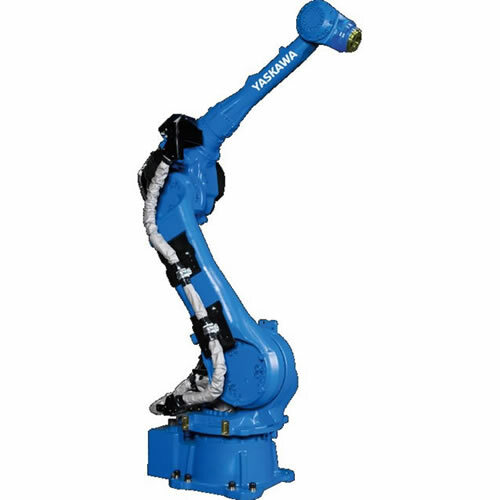 Many robots are not designed for the rigors of grinding, polishing, buffing or other material processing tasks that use the robot to manipulate a material removal tool (wire brush, sand paper, knife) over the part surface or contours. 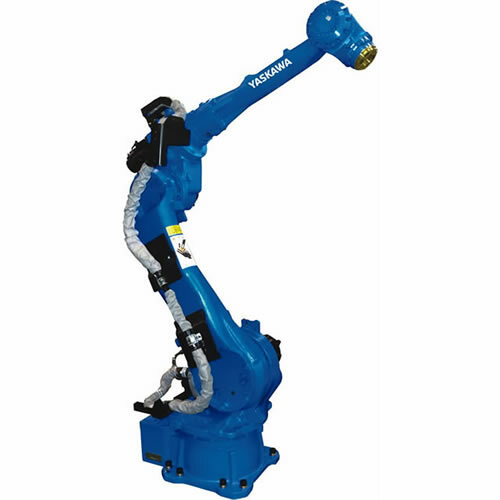 In addition to an extensive line of six-axis general-purpose robots, Yaskawa Motoman has a robust, application-specific cutting robots designed with the rigidity needed for material removal applications. In order to ensure constant surface pressure on contoured products, an active force sensing device is often used to optimize the finish on the part and increase efficiency of using abrasive consumables by as much as 10 times! 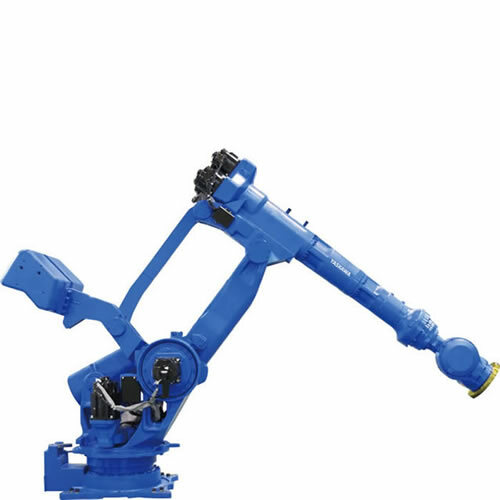 Robotic material processing systems are often required to perform multiple tasks -- cutting and deburring, sanding and polishing, etc. Two approaches – multiple spindles or spindles that can change media or tools – can be used to perform the various tasks. The method used is generally determined by the process. 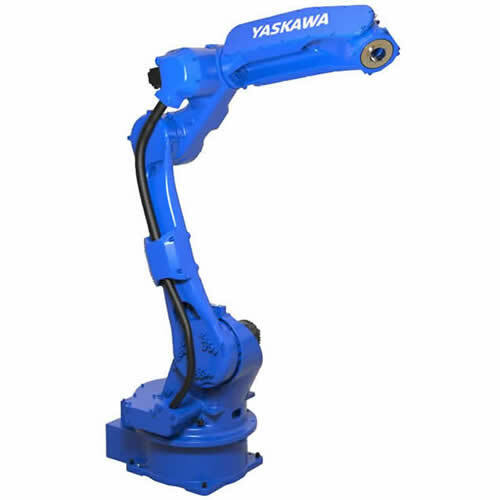 Experienced Yaskawa Motoman application engineers will help you determine the best approach for your project. Grinding applications typically mean bringing parts to a grinder or sander and holding the parts precisely or moving along a specified path. 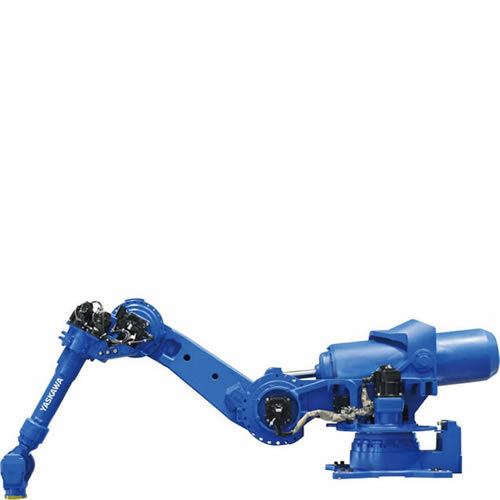 We have a wide range of robots for larger parts. 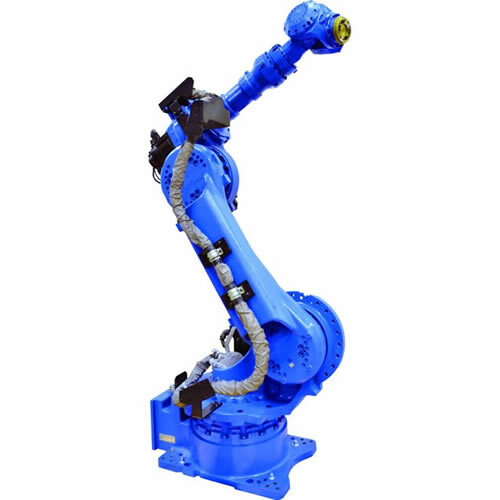 The HP-series robots have the payload capacity for handling large parts and are a parallel link design, which is very stiff for demanding high pressure grinding applications. For finishing and polishing applications, the parts are frequently smaller. For these applications, robots from our GP Series are a good choice for the task. 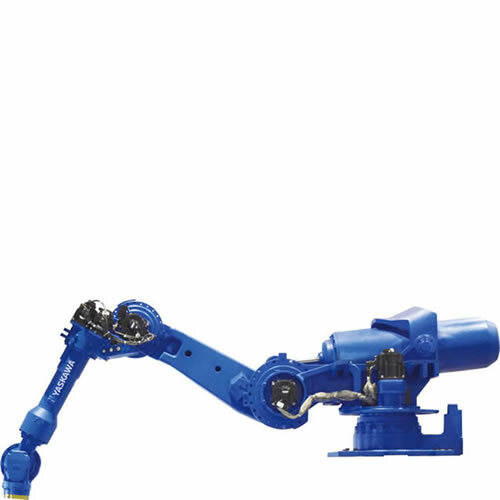 These high performance, durable robots are ideal for these applications. 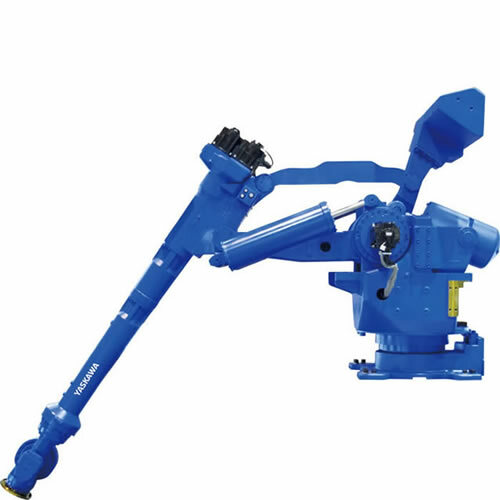 For part to process tasks with larger parts, the MH215 or MH250 are good choices. 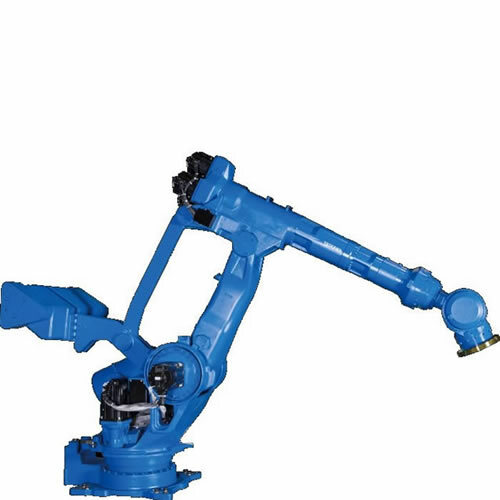 For gear deburring, we offer preconfigured and customized robotic systems designed for precise deburring of gears up to 20” in diameter and 10” tall. These are general guidelines that may differ depending on the specific gear configuration. Other configurations are available to meet specific customer needs. 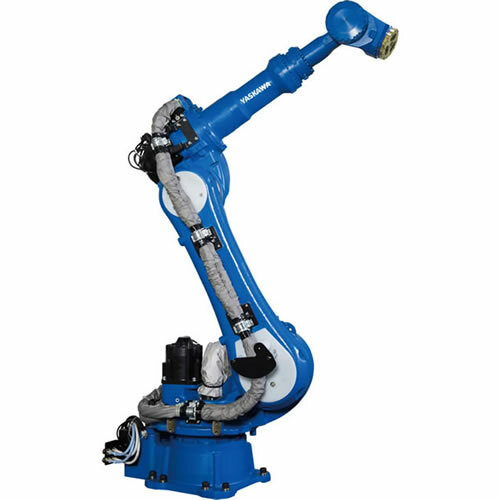 Robotics can improve accuracy and cycle times, particularly in waterjet cutting applications where improving the time handling the material is critical to achieving TAKT time. A clean and agile alternative method. 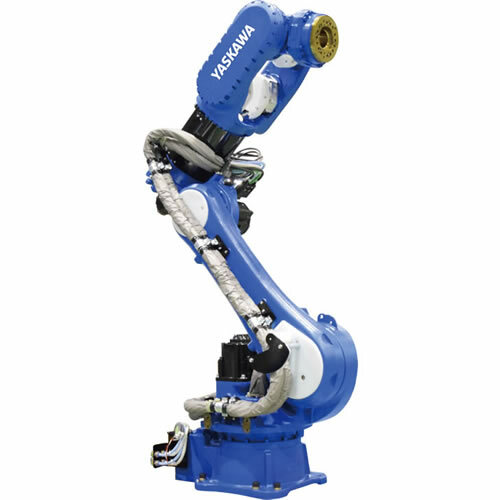 Yaskawa Motoman's ultrasonic solution delivers cleaner cuts and infinite flexibility for trimming, routing, deflashing and more. 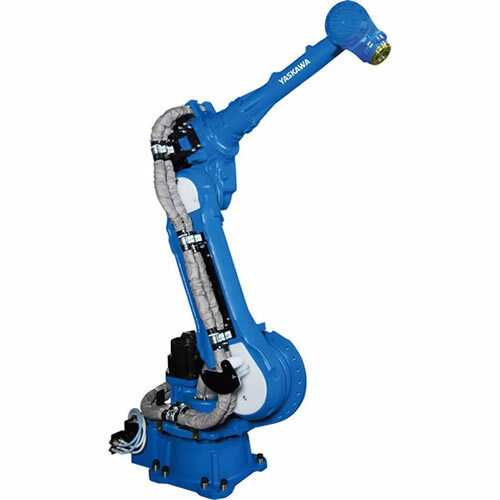 Patented robotic tools add versatility and streamline changeovers for low-volume secondary operations. 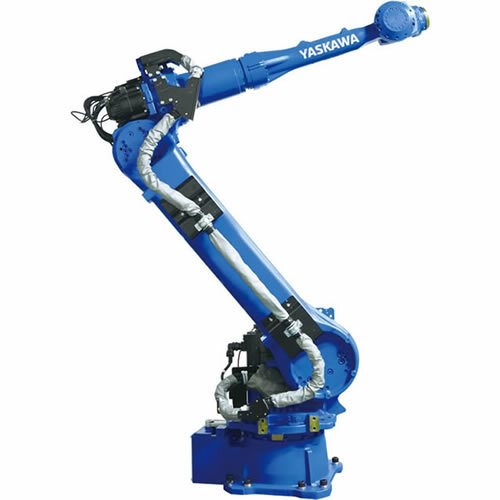 Yaskawa Motoman’s extensive product line of high-performance robots includes a variety of application-specific and general-purpose models that are ideal for material removal, surface preparation and finishing operations, including grinding, finishing, polishing, sawing, degating, cutting, etc. Break the limitations of conventional cutting with a clean and agile alternative. 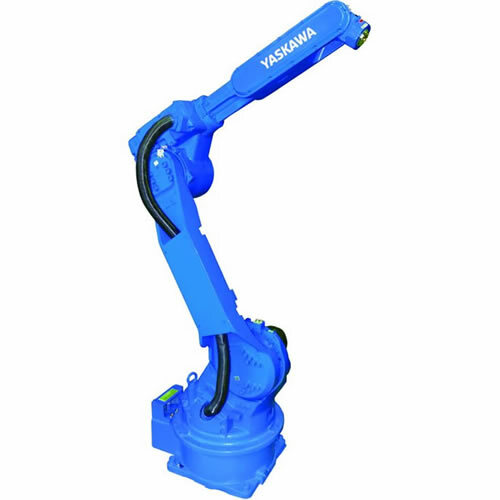 Yaskawa Motoman's ultrasonic solution delivers cleaner cuts and infinite flexibility for trimming, routing, deflashing and more. 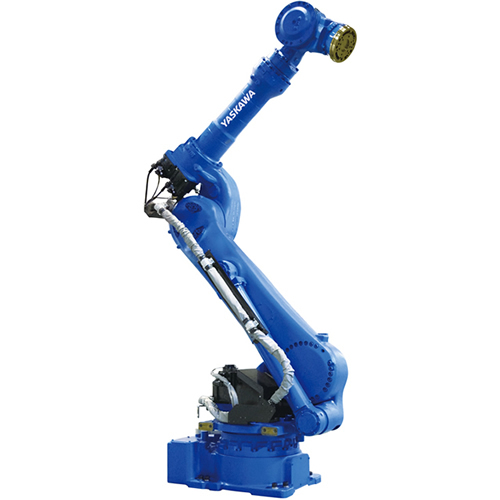 Patented robotic tools add versatility and streamline changeovers for low-volume secondary operations. Buyers of custom-designed plastic, fiber and composite components are demanding shorter runs with a high level of customization. If your current tools aren't viable for handling low-volume orders, it's time to consider a solution that expands your capability to be agile and profitable without compromising quality. Yaskawa Motoman has partnered with world-class cutting technology and industrial integration providers to offer a suite of robot-guided ultrasonic knives and routing tools, designed to work with a multitude of cuts and materials. Achieve more control with programmable trackball and self-sharpening tool options. One equipment buy gives you unlimited options that are easily ready for the next job. 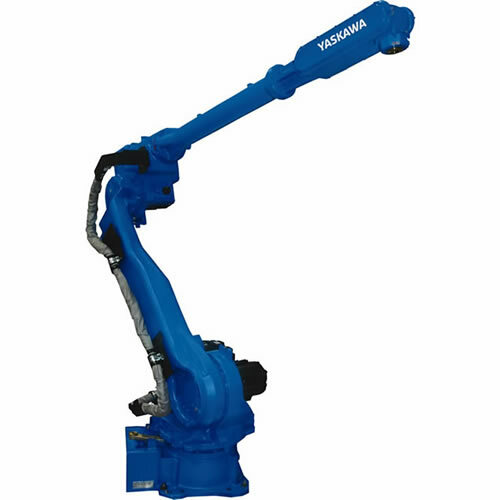 Self-contained cells and hybrid tooling enable more productive work in less space. Reduced waste in a safer, more simple operating environment. 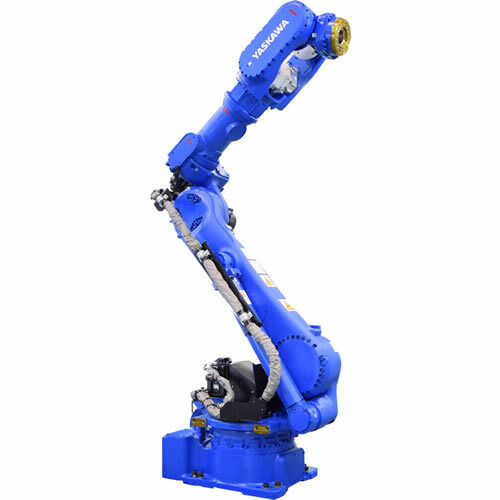 Combine the flexibility of robotics with specialized end-of-arm tooling options that optimize the speed, accuracy and quality of the job. Options include a programmable trackball for total precision, and hybrid trimmer/routers that deliver amazing throughput in a compact space. One key to your success with robotic automation is partnering closely with a team of specialists. 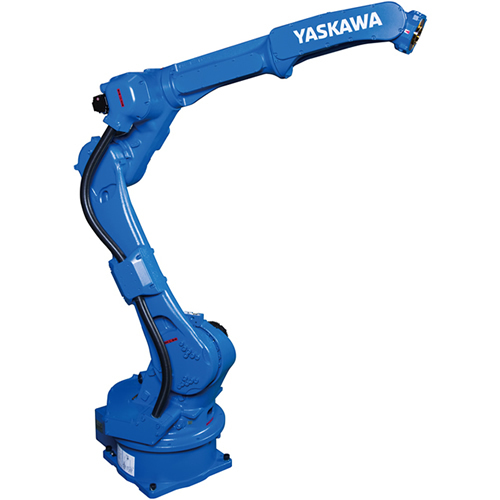 Work with Yaskawa Motoman and our network of leading system integrators and technology partners who understand your business. Together, we can engineer a system that meets your specific needs. Will Ultrasonic Make Your Cut? Upload a photo, video, drawing or model of your finished material to learn how ultrasonic tools can improve your product flow and expand your capabilities.